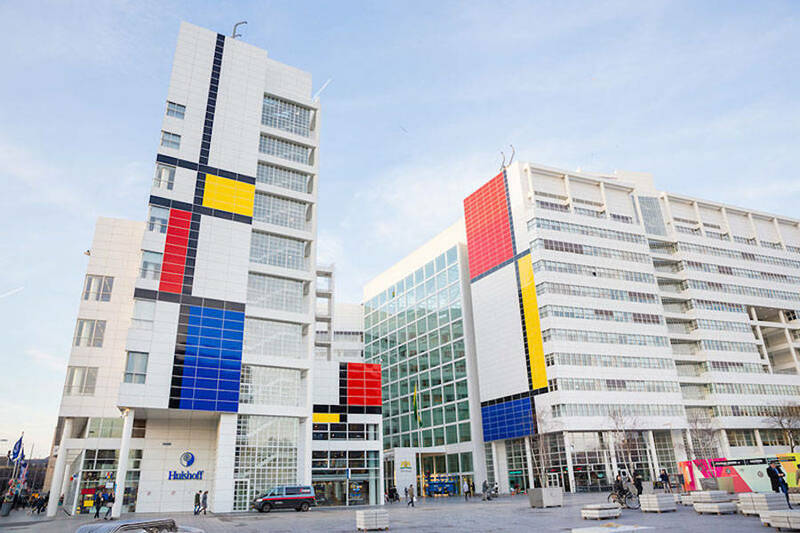 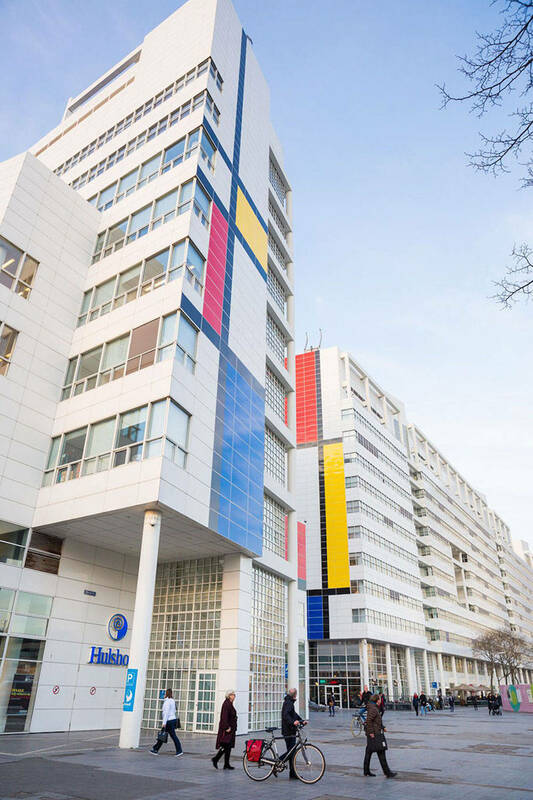 To mark the century of the art movement called De Stijl, The hague, the seat of the Dutch government, unveiled a makeover of its city hall. 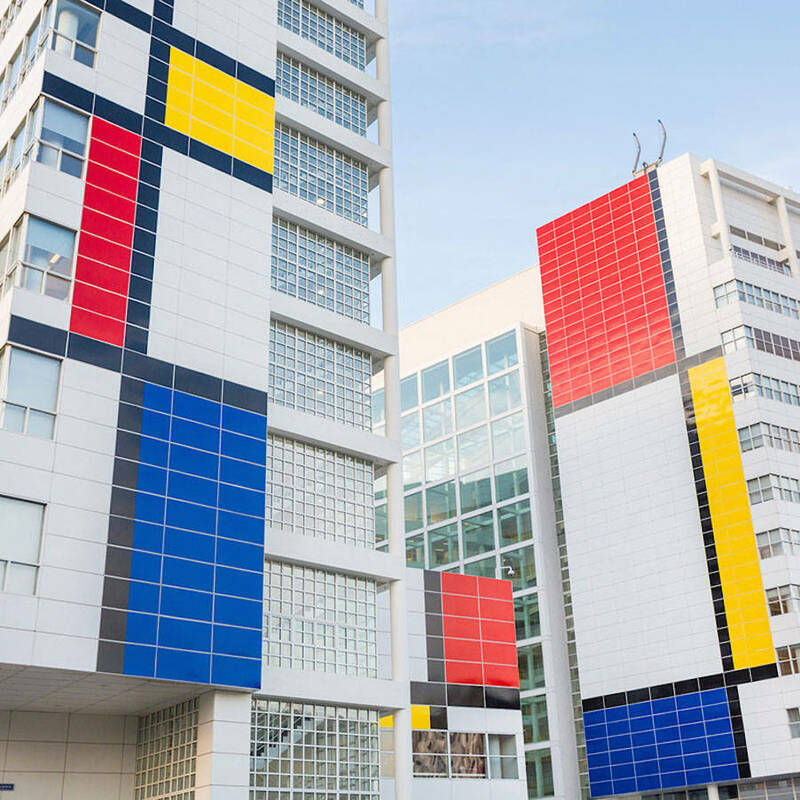 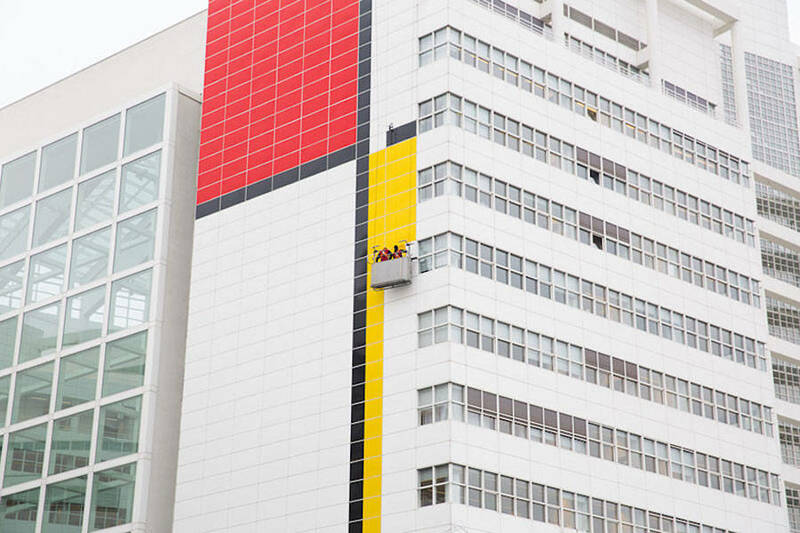 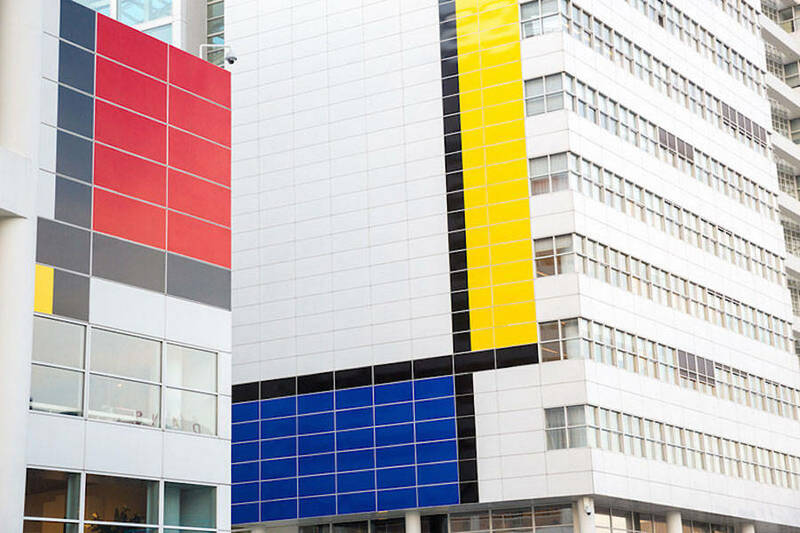 It’s the largest replica of Piet Mondrian painting in the world. 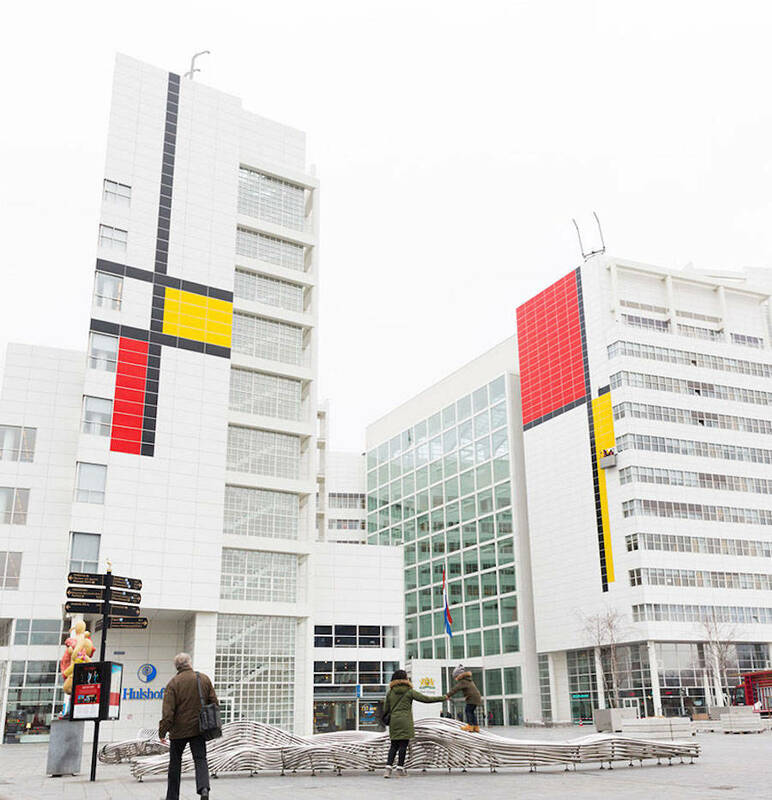 To revive this movement on an architectural work is a nice nod, because De Stijl was an architectural review.